Dolcetto is a delicious, medium bodied wine made with 100% Dolcetto grapes. It is the every day drinking varietal from the Piemonte region of northern Italy. The Dolcetto flavor profile, although often thought to be a sweet wine, is not a sweet wine. It is unique to its own flavor but lies somewhere between a Pinot Noir and a Zinfandel. The grapes are whole berry processed and they are then barrel aged for 3-4 years in 100% French Oak, 10% of which is from new French Oak barrels. Dolcetto, one of Italy's most popular every day drinking varietals, is a still undiscovered varietal in the US. 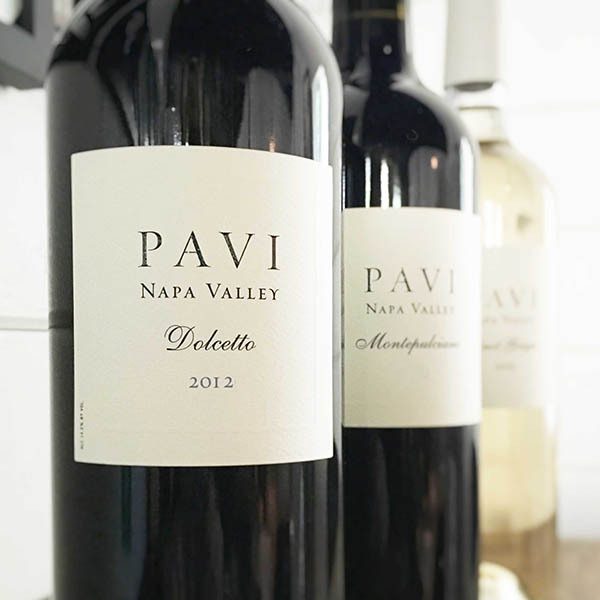 We hope that you will enjoy one of our favorite varietals, grown here in the Napa Valley. It is a lush, medium to full-bodied wine, rich with bright, raspberry and cherry aromas. The intense flavors of cherry and spice come together beautifully in a balanced wine that is a perfect compliment to meat dishes, pasta with hearty sauces and of course, our family favorite, PIZZA. It is perfect for an everyday casual meal or for that special meal to celebrate life. of Dolcetto planted in the Napa Valley, all are under our management. It’s a wine we love to make and drink.